'"claims presented so that they appear [to be] scientific even though they lack supporting evidence and plausibility"(p. 33). In contrast, science is "a set of methods designed to describe and interpret observed and inferred phenomena, past or present, and aimed at building a testable body of knowledge open to rejection or confirmation"(p. 17) ' Shermer 1997, (this was the definition adopted by the National Science Foundation). ↑ Art Hobson (2011). "Teaching Relevant Science for Scientific Literacy" (PDF). Journal of College Science Teaching. ↑ Hansson, Sven Ove (September 3, 2008). "Science and Pseudo-Science". Stanford Encyclopedia of Philosophy. Stanford University. สืบค้นเมื่อ April 16, 2011. From a practical point of view, the distinction is important for decision guidance in both private and public life. Since science is our most reliable source of knowledge in a wide variety of areas, we need to distinguish scientific knowledge from its look-alikes. Due to the high status of science in present-day society, attempts to exaggerate the scientific status of various claims, teachings, and products are common enough to make the demarcation issue pressing in many areas. ↑ 9.0 9.1 Hansson, Sven Ove (2008). "Science and Pseudoscience". Stanford Encyclopedia of Philosophy. ↑ Bowler, Peter J. (2003). Evolution: The History of an Idea (3rd ed.). University of California Press. p. 128. ISBN 0-520-23693-9. ↑ Magendie, F (1843). An Elementary Treatise on Human Physiology. Translated by John Revere (5th ed.). New York: Harper. p. 150. 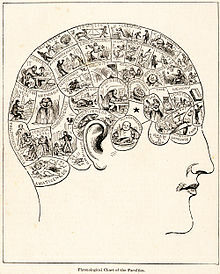 Magendie refers to phrenology as "a pseudo-science of the present day" (note the hyphen). ↑ Gauch, H.G. (2003). Scientific Method in Practice. Cambridge University Press. p. 88. ISBN 9780521017084. LCCN 2002022271. A particularly radical reinterpretation of science comes from Paul Feyerabend, "the worst eneny of science"... Like Lakatos, Feyerabend was also a student under Popper. In an interview with Feyerabend in Science, [he says] "Equal weight... should be given to competing avenues of knowledge such as astrology, acupunture, and witchcraft..."
↑ Thagard PR (1978) "Why astrology is a pseudoscience" (1978) In PSA 1978, Volume 1, ed. Asquith PD and Hacking I (East Lansing: Philosophy of Science Association, 1978) 223 ff. Thagard writes, at 227, 228: "We can now propose the following principle of demarcation: A theory or discipline which purports to be scientific is pseudoscientific if and only if: it has been less progressive than alternative theories over a long period of time, and faces many unsolved problems; but the community of practitioners makes little attempt to develop the theory towards solutions of the problems, shows no concern for attempts to evaluate the theory in relation to others, and is selective in considering confirmations and non confirmations." ↑ Laudan L (1996) "The demise of the demarcation problem" in Ruse, Michael, But Is It Science? : The Philosophical Question in the Creation/Evolution Controversy pp. 337-350. ↑ Andrews & Henry 1796, p. 87. ↑ บทความคุณอยากอ่านวิทยาศาสตร์ แบบไหน ใน สารคดี ? หน้านี้แก้ไขล่าสุดเมื่อวันที่ 27 พฤศจิกายน 2561 เวลา 12:33 น.